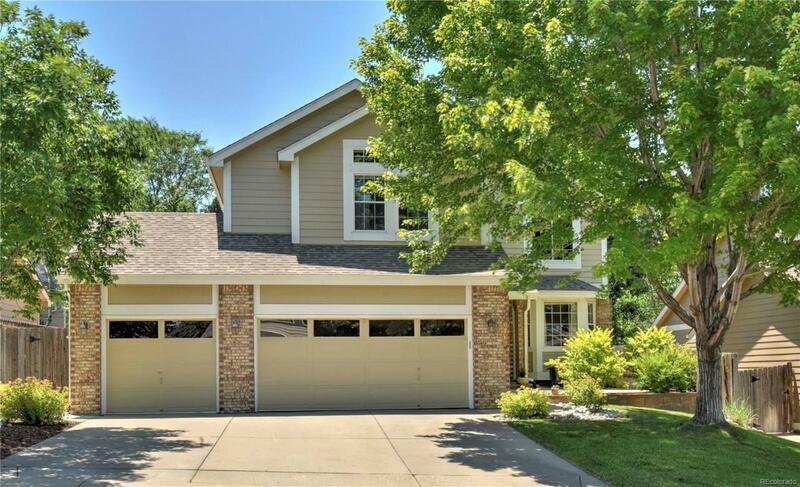 Beautiful 2-story in Westminster's Westcliff neighborhood. The main level includes a living room with bay window, dining room and vaulted family room with gas fireplace and ceiling fan. Lovely open kitchen with breakfast bar and tile counters and powder room. The upper level boasts 4 bedrooms including a vaulted master with walk-in closet, private 5-pc master bath and 3 generous secondary beds with a full bath. The full-sized unfinished basement awaits your ideas for customization. Private backyard with professional, mature landscaping, covered patio and pergola. Newer roof. Great neighborhood close to multiple walking trails, massive open space and parks. Close to a variety of retail and dining options including the Westminster Promenade shops and restaurants, Walnut Creek and the upcoming renovated downtown Westminster. Equidistance between Boulder and Denver for easy commutes.